51953 leads the 09:15 Manchester Piccadilly to Hull service past Chinley on 20 October 1983. 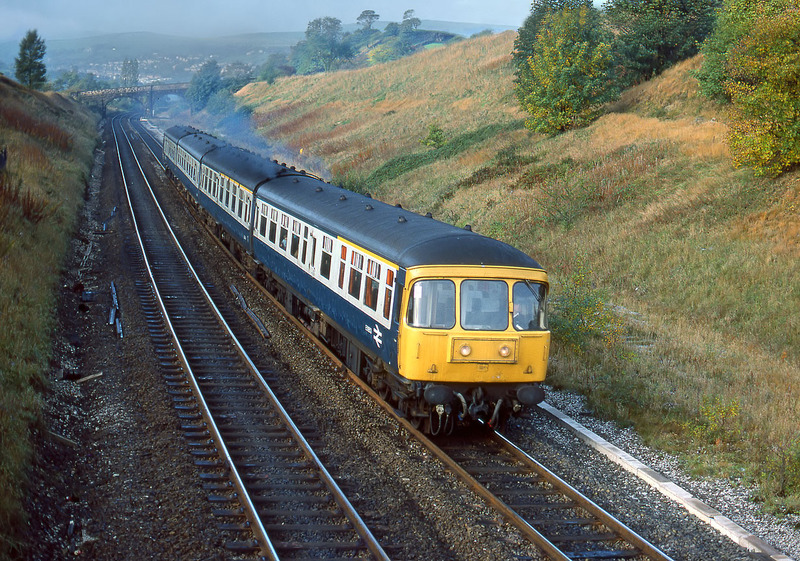 These Class 124 'Trans Pennine' units were arguably the most stylish of the first generation units, with their unusual wrap around windscreens and smooth rounded front ends. As they hardly ever strayed from their intended route, and this was in the days before I started travelling the length and breadth of the country on a regular basis, I did not get the chance to photograph them very often.